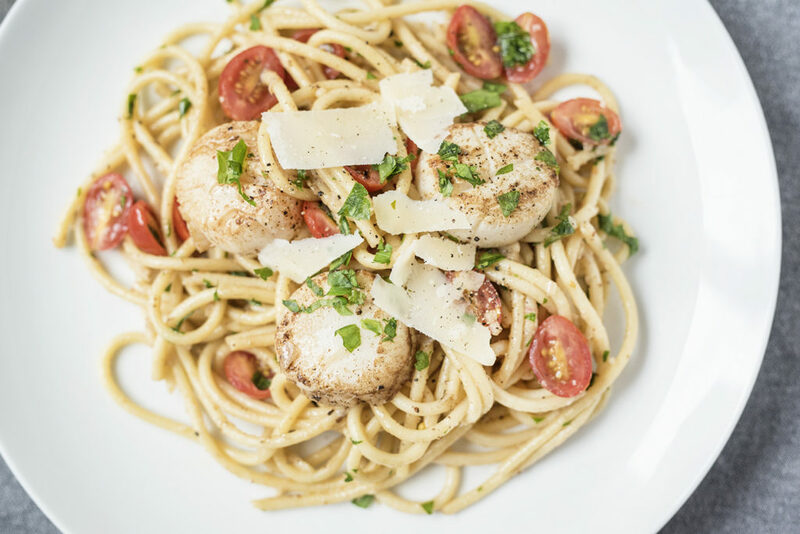 23 May National Pinot Grigio Day + a Recipe for Scallops with Bucatini! 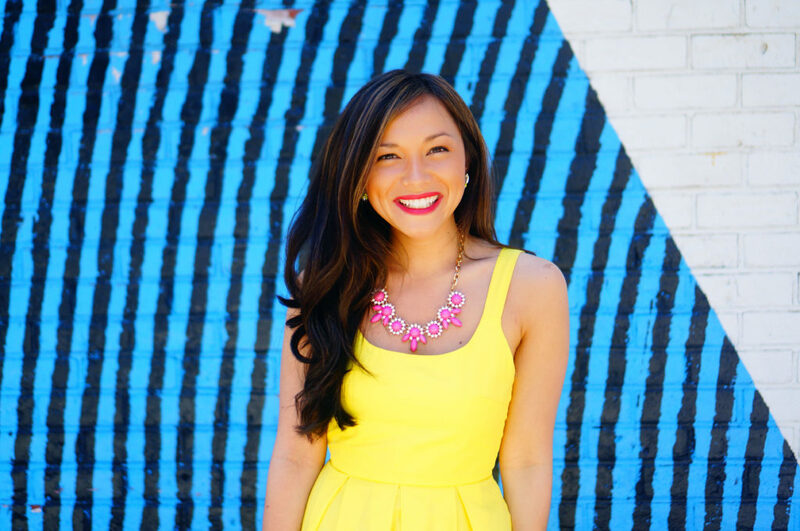 If you had a chance to read my post back in January regarding my goals for the year then you’ll know that learning about wine is on my bucket list. I wanted to do an in depth study of wine this year to prepare for a somm exam. In all honesty, that studying isn’t going as well as I had planned because of a number of unexpected projects that popped up. 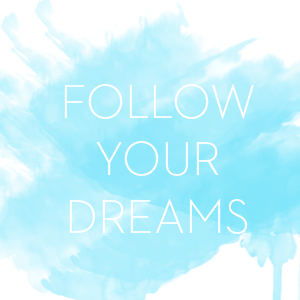 However, I have learned a few cool facts that I would love to share with you through a handful of posts over the coming weeks! One of the wines I’ve been learning more about is Pinot Grigio which a light white wine that is great for summer. 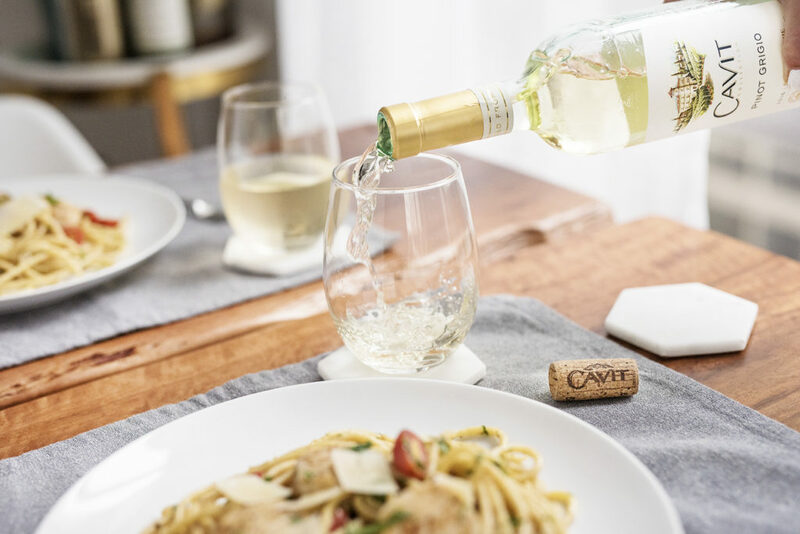 Memorial day weekend is coming up and I would categorize this as a perfect wine for any outdoor festivities you plan on hosting throughout the weekend. It’s refreshing with a hint of citrus. The other thing that I absolutely love is celebrating “national days” which you’ll see in almost every one of my weekly love lists! This Friday marks the first ever “National Pinot Grigio Day”. Moving forward, this national day will be held every year on the Friday before Memorial Day weekend. I know I definitely will be celebrating with a chilled glass of the good stuff! 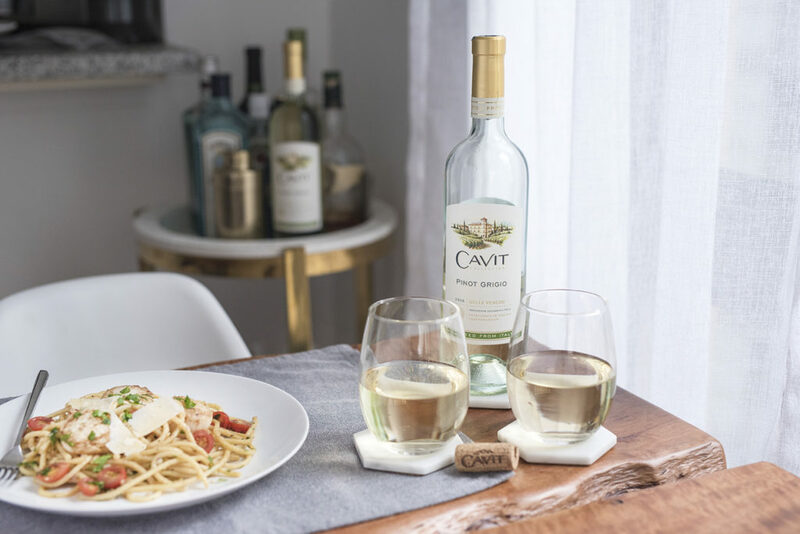 To help celebrate the holiday, I partnered with Cavit to come up with a seasonal recipe that pairs well with their Pinot Grigio. 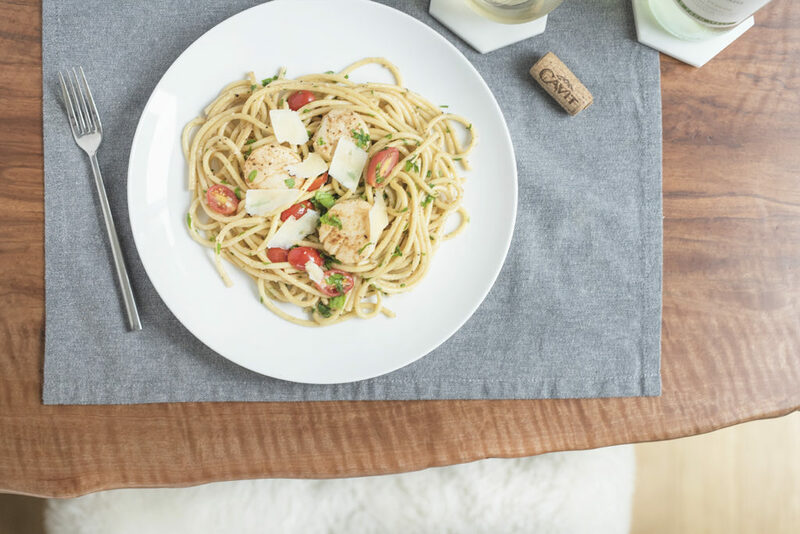 When pairing food with Pinot Grigio you want to keep it light – stay away from anything heavy. Simple refreshing dishes with few ingredients make the best companions. If you are looking to create a full meal, seafood pairs best but you could also try a dish with lightly dressed chicken or turkey. 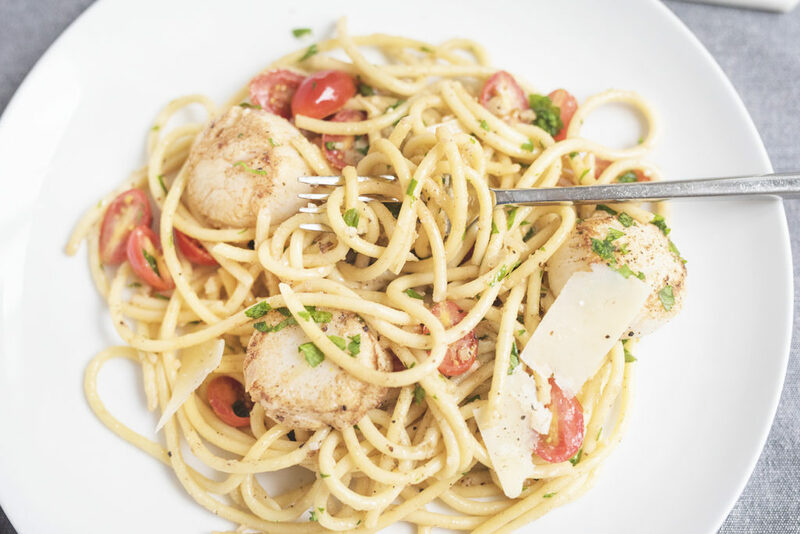 I LOVE scallops so for this recipe I went with seared scallops over a bed of bucatini. 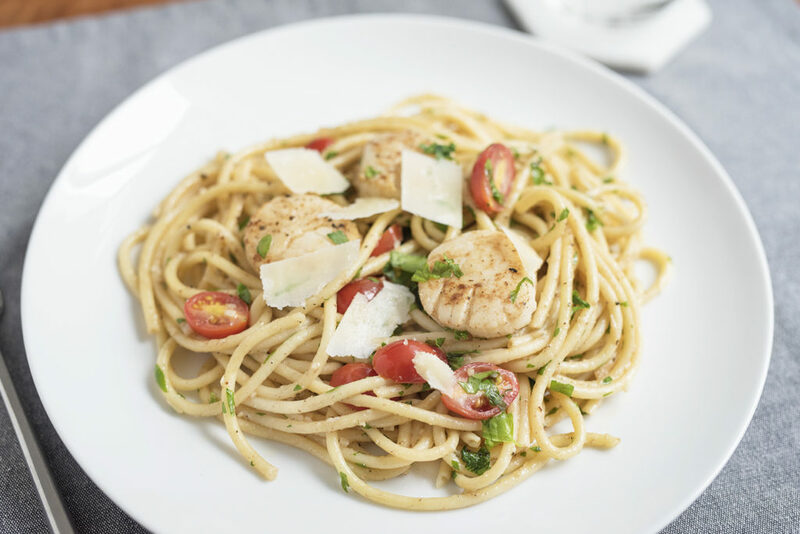 Although I love when thick, glossy, creamy sauces top my pasta I opted for a light lemon butter garlic sauce because I really wanted the wine to maintain it’s integrity and for it’s flavors to sing through! Plus when the months are warmer, I always feel so much better when I’m not being weighed down by my meal. 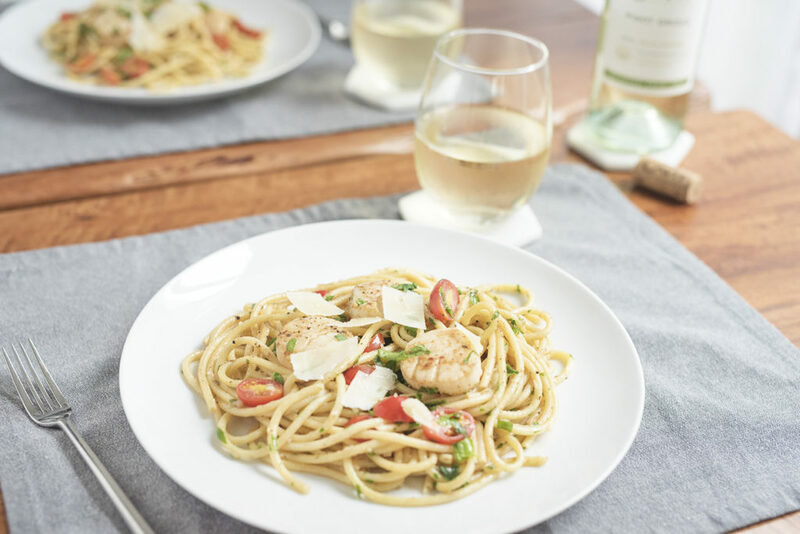 What is your favorite meal to pair with a glass of Pinot Grigio? Would love to hear about it in the comments below! Bring medium sized pot of water to a boil. Add pasta and cook according to package instructions. Season the scallops with salt and pepper. Once the pan is sizzling hot, place the scallops one by one into the pan. Squeeze the juice of half the lemon onto the scallops. Cook for 1 minute then flip and cook for 1 additional minute or until fully cooked through. 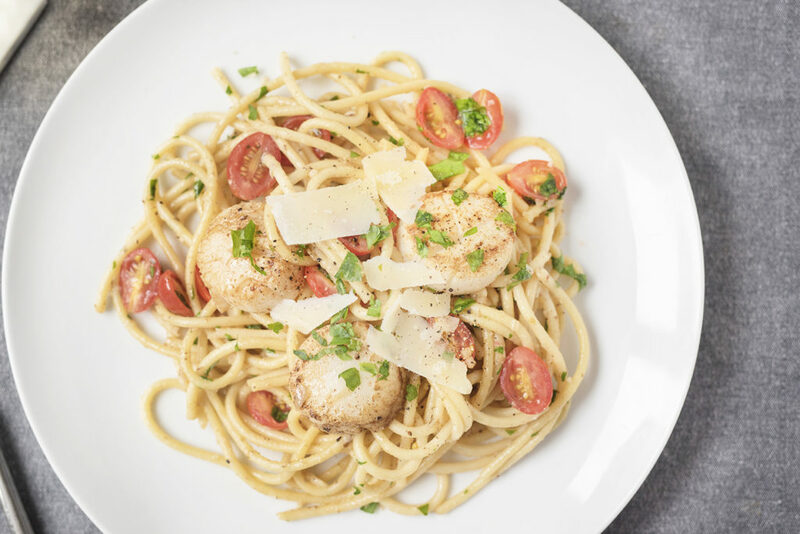 Scallops quickly fairly quickly so be sure to keep an eye on them. Remove scallops and set aside. Add in cooked pasta and remaining butter. Stir until the butter is completely melted. Squeeze the juice from the remaining half of the lemon over the pasta. Add in tomatoes, parm cheese, parsley, and salt/pepper to taste. Stir until everything is well incorporated. Divide the pasta amongst 4 plates. Top with scallops and additional parmesan cheese if desired.